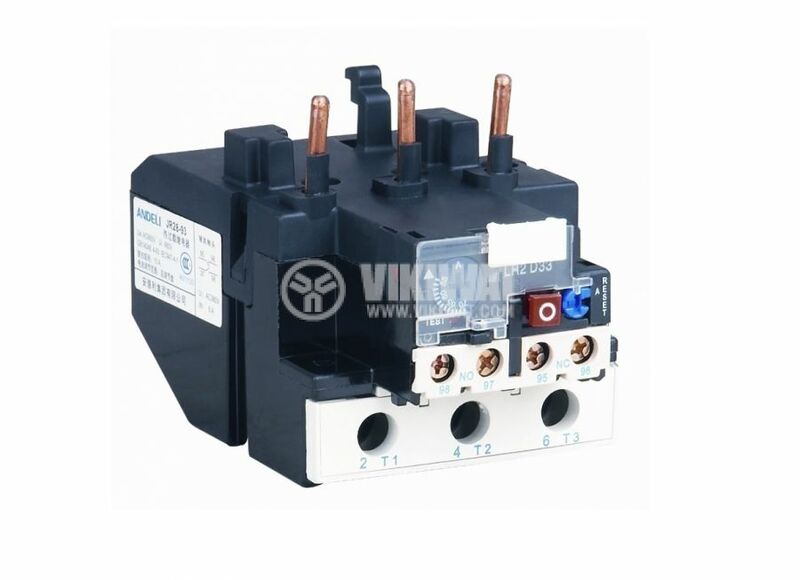 Bimetal thermal relay LR2 D3355, three-phase, Current protection adjustment range 30-40 A. Contact system 2PST-NC+NO with load capability 10 A , 380 VAC. 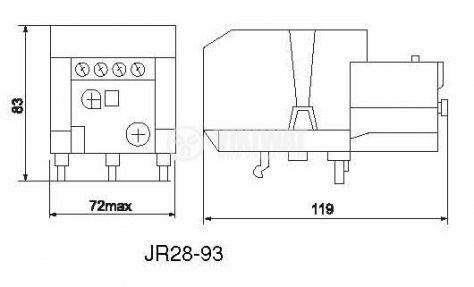 Application: overload protection of asynchronous motors.